Our Grading System is the simplest in the business. Rather than confuse you with 3,4 or 5 grades of balls, we make it easy to understand. We carry only two grades. Balls that are cut, heavily scuffed, excessively pen marked or excessively discolored are simply not sold on this site. These balls are usually destined for the driving ranges. ***Please be aware that our grading process is a human process. There is no automation involved and while we do our best to bring YOU the best representation of the described grades, sometimes a ball may slip through the system that may be below (or above) the quality described. Refurbished golf balls are stripped of paint, smoothed of imperfections, re-painted, re-glossed and re-logoed with the manufacturers logo. An HONEST company will also stamp the ball with a small "Refurbished" logo. Unfortunately, there are many companies that do not follow this practice and just repaint the ball giving the customer the idea that he's getting a mint condition ball. If you've ever hit one of these balls, you'll know it immediately because the paint will begin to chip off or it sounds like you've just hit a rock when you thought you were hitting a premium ball. Why does it sound different? More than likely the ball you just hit was a repainted cheap golf ball that was re-logoed as a premium ball. 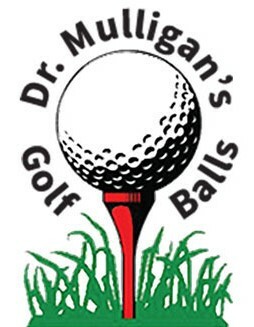 Dr. Mulligan's Golf Balls does NOT participate in this practice. We only wash and grade our golf balls. A word of advice -just plain avoid refurbished balls and you'll avoid disappointment and headaches.